ST. PETERSBURG FL March 15, 2017 — Travelers often purchase travel insurance through their cruise line because it’s the easy thing to do, but that doesn’t mean it’s the best option. Leading travel insurance comparison site, Squaremouth, explains what travelers should watch out for when offered their cruise line’s travel insurance. Cruise insurance is either purchased directly through the cruise line or through the open market. The quality is just as high and the prices are similar, however, the coverage can be dramatically different. 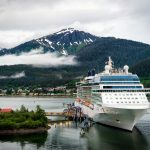 The benefits included in a cruise line policy may be the same as a similarly priced policy on the open market, but the amount covered by each benefit is often lower on cruise line policies. Most travel insurance policies will include coverage for cancellation, medical, baggage, and travel delays. Many major cruise lines limit their medical coverage to $10,000-$25,000. Medical expenses are often significantly higher than usual on a cruise and can exceed that amount, resulting in additional payments for the cruiser. Buying Tip: Check the coverage amounts. Squaremouth recommends cruisers purchase a policy with at least $100,000 in Emergency Medical. At first glance, cruise line and open market policies can be identical – including the price and the coverage – but the fine print of the policies may tell a different story. Many cruise line policies exclude pre-existing conditions, leaving travelers stuck paying out-of-pocket for medical bills they thought were covered. Some open market policies can include Pre-Existing Condition coverage. Buying Tip: Check each policy’s exclusions. Travelers with a pre-existing condition should look for an open market policy as soon as possible after booking their cruise. The benefit is available on some policies within 14-30 days of the initial trip deposit date. Why Do Cruise Lines Have Less Coverage? Whether a cruiser purchases a policy through their cruise line or on the open market, the quality will be great. However, cruise lines often receive higher commissions on the policies they sell, so their coverage can be lower.